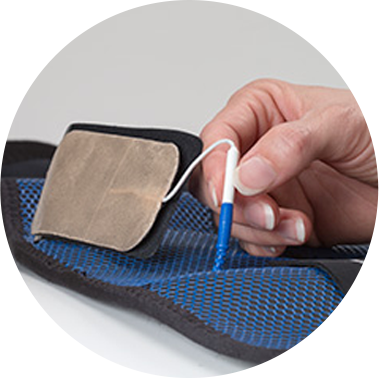 Learn more about how to use your CyMedica muscle stimulation system. 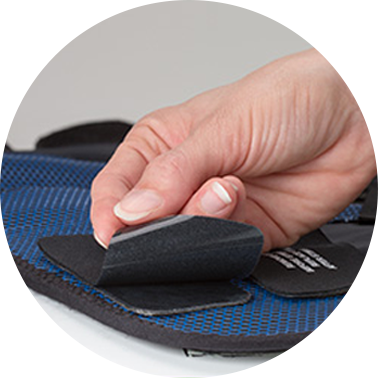 To replace the electrodes, first remove the fabric Electrode Covers and set them aside for later use with the new electrodes. 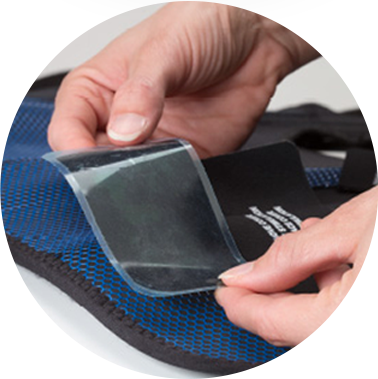 Carefully peel the electrodes from the garment, noting the original location and orientation of the old electrode. Remove the electrode, exposing the white wire and then the colored wire from the Garment. Note, the colored wire may be blue, red or black. Detach the white electrode wire from the colored wire. Discard the old electrode. 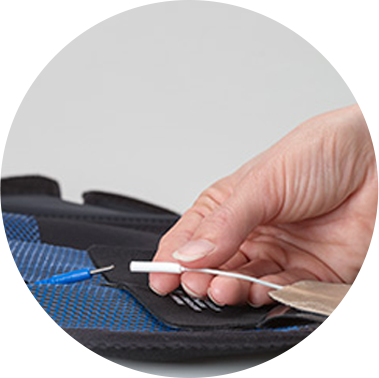 With the new replacement electrode, reattach the white electrode wire to the colored wire, seating the connection completely. Push the exposed wire back into the wire hole of the garment. 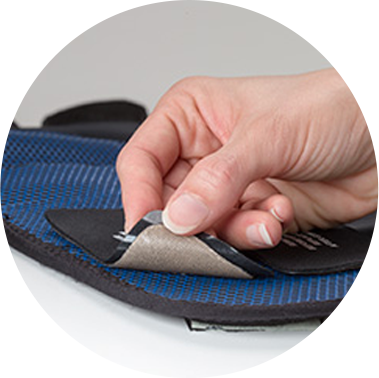 Carefully peel the plastic liner cover from the tan side of the new electrode, exposing the sticky backing. 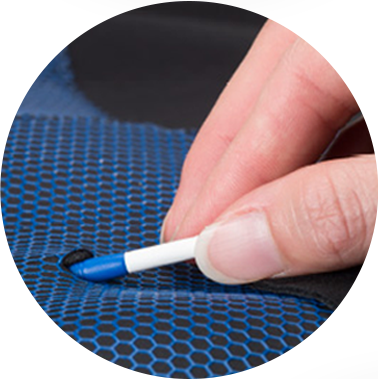 Gently press the electrode to the Garment, carefully matching the same position and orientation as the original. 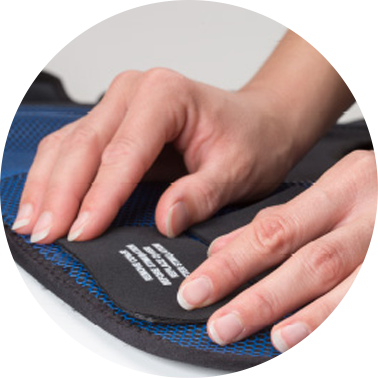 Many Garments have bracketed electrode positions printed onto the blue surface for guidance. 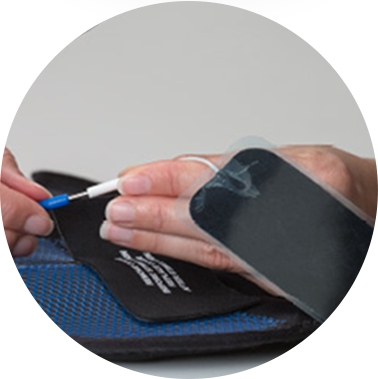 Remove the plastic liner cover from the black side of the electrode. 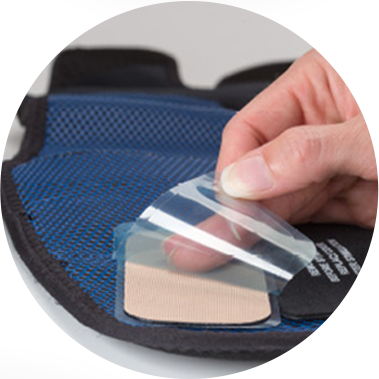 Replace with the fabric electrode covers.